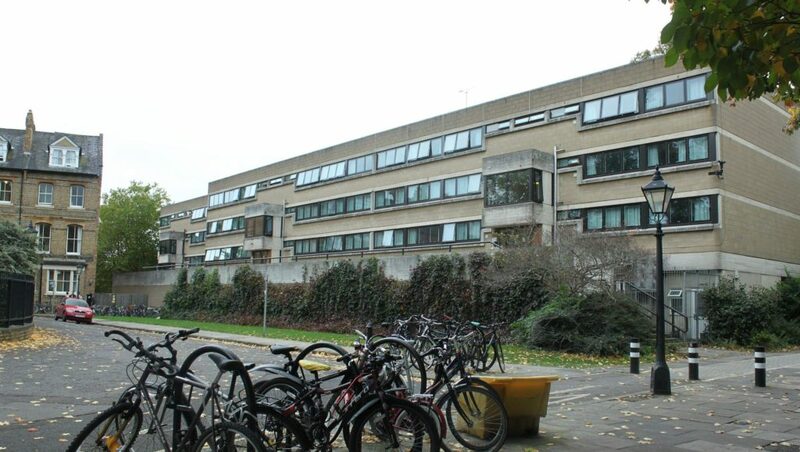 Oxford University is planning to redevelop its building at 25 Wellington Square. They held a second round of public consultation on 18 October. The presentation and display boards show the latest proposals. The leader of our Planning group sent this letter as the Society’s feedback. Thank you very much for organising the recent public consultation event on 25 Wellington Square. Oxford Civic Society would like to offer the following comments. 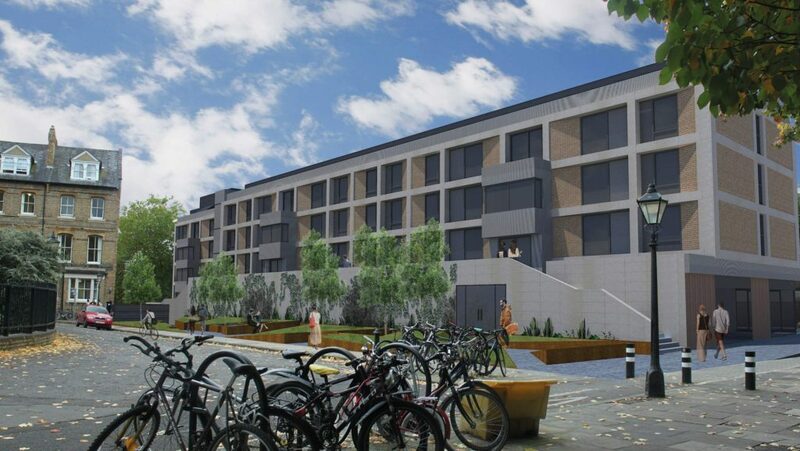 The proposed Wellington Square façade is now dramatically different from Sir Leslie Martin’s design. The design as presented at the previous consultation made a considerable effort to remain faithful to the Martin design. In particular, the strongly horizontal lines of the original building had been retained, preserving the impression that the building looks lower than it actually is. We regret that the latest design has departed from this approach in favour of the currently fashionable “egg box” style which is proliferating in various new university buildings. This appears to have been done as a cost saving measure and without regard to the preservation of heritage and the impact on the surrounding Conservation Area. We hope that the change in façade design will be reconsidered. The design presented at the earlier consultation also included a stone (or artificial stone) façade which, again, was closer to the Martin design without having the rather depressing visual impact of the original concrete. Returning to the previously chosen external materials should be reconsidered, as proposed in the section above. Compared to the original, the greatly improved performance of the design in sustainability terms is welcome. However, the effect on views from different points of the substantial quantities of roof mounted equipment now proposed is a matter of concern. The application will need to demonstrate convincingly that no key views have been adversely affected. The detailed design and colour of the proposed screening structure will be crucial. The illustration at the exhibition appeared to show a dark screen which might in reality be obtrusive. We are content with the proposed entrances in Little Clarendon Street and Walton Street. As we stated in our previous response, this project must not be allowed to destroy the tranquillity of Wellington Square as a peaceful oasis that is greatly enjoyed by local students, university staff from the nearby offices and the general public. So while in general we favour the treatment of the retail areas, we are very strongly of the view that they should not be accessible from Wellington Square. It is significant that the drawing in the recent exhibition showed the room at the east end of the building as a restaurant. This is also shown as having a door allowing access from Wellington Square. Our members who live in Gloucester Green speak of the great problem of doors being left open, particularly in hot weather, and of people spilling out of the bars and eating places into the Square. This must not be allowed to happen in Wellington Square. We have no objection to one or more picture windows (or glazed fire exits strictly for emergency use only) giving those inside pleasant views of the Square. This would also serve to break up the visual effect of the large wall facing Wellington Square. We recommend that the architects make a brief tour of central Oxford to see how disfigured the public realm is becoming because of the inadequate provision of spaces where very large wheely bins can be kept out of sight. It would be an irony if the rubbish bins of 25 Wellington Square spilled out into the space between that building and the University Offices where some of the University’s most senior people are located! The inadequacy of the provision proposed in the current plans makes this a very real prospect, particularly if one or more of the retail premises become bars, cafes or restaurants. The provision for the cycles of residents of 25 Wellington Square seems to have been well thought out. No consideration seems to have been given to public cycle parking, however. Perhaps the landscaping facing Wellington Square could be adjusted to include some public cycle stands? We would like to express our appreciation of the considerable effort which has been made to consult the public at various stages on the proposals for this building and the patience of the architects and university staff in dealing with our queries and comments. While we remain very concerned about some aspects of the design, the ultimate modernisation of this building will benefit its residents both in terms of comfort and access and that is to be welcomed.